Charles Rohlfs is not a household name or one that immediately comes to mind, like Charles and Henry Greene, when speaking about the Arts and Crafts style. However, Rohlfs was a gifted and eclectic designer and woodworker who began his career as a stove designer. 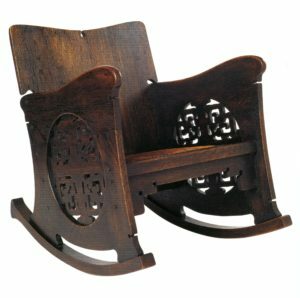 As early as 1888, he began designing and building furniture for his family. He was a multi-faceted fellow (who was also an actor and patternmaker) whose work influenced the Greene brothers and Gustav Stickley. Although he tried his hand at many a craft, he’s best known for his furniture making. His work was individual, eccentric and extremely labor intensive, even more so than the Greenes’ work. 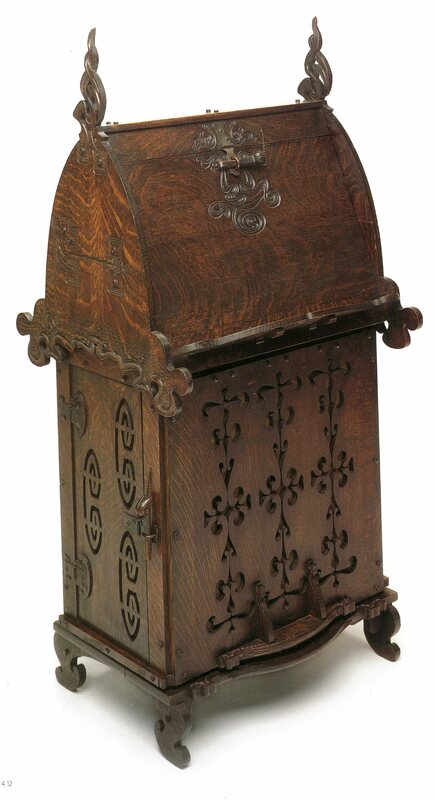 Charles Rohlfs had a very embellished, decorative style (again, not what you think of first when it comes to Arts and Crafts) with details he picked up from his days as a stove designer. His signature mark included detailing the inside faces of chair legs or the back panels of cabinets. These surfaces would not ordinarily be seen in everyday furniture, but would mark a well-designed and -finished stove. This was a wonderfully challenging project, and it was quite enjoyable working with clients who sought a completely one-of-a-kind piece, influenced by a highly regarded, yet not-so-common craftsman. The piece was featured in Style 1900, Fall 2012 edition; Lindeman House, Los Angeles, California. Email or call me at 626-221-5244 to design and build one-of-a-kind furniture, lighting and architectural details for your home.